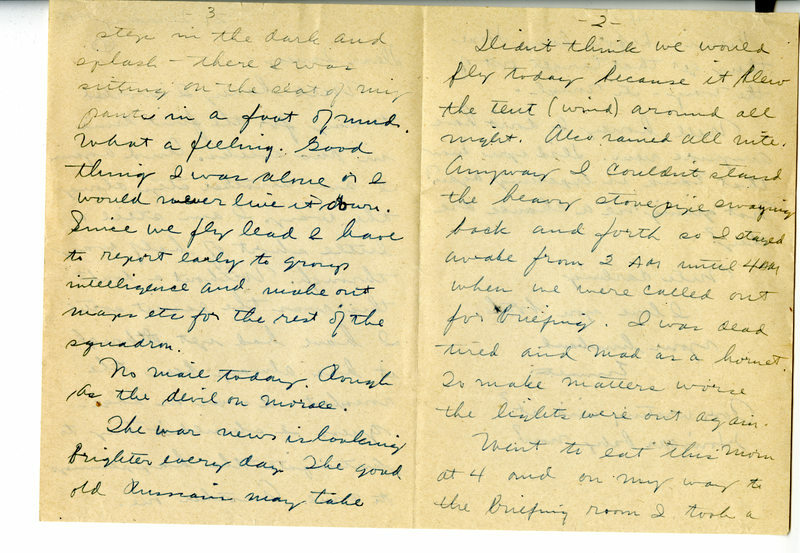 Emmett writes to Jane to inquire about the baby, his flights, and his morale. This digital object is owned by Kent State University and may be protected by U.S. Copyright law (Title 17, USC). Please include proper citation and credit for use of this item. Use in publications or productions is prohibited without written permission from Kent State University. 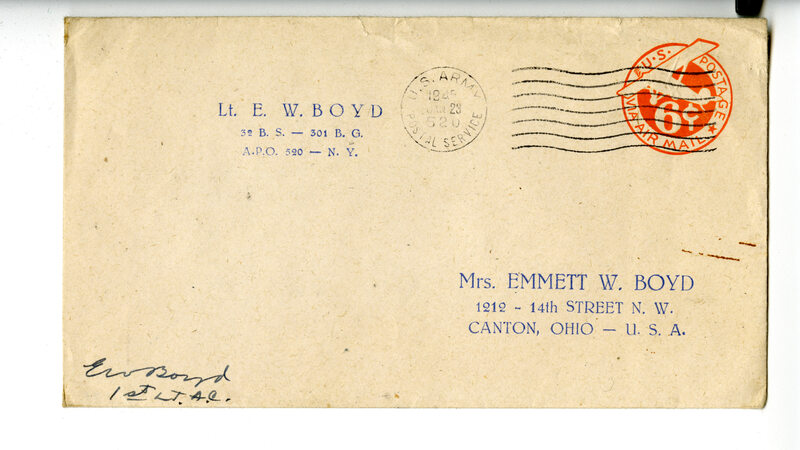 Please contact the Department of Special Collections and Archives for more information. 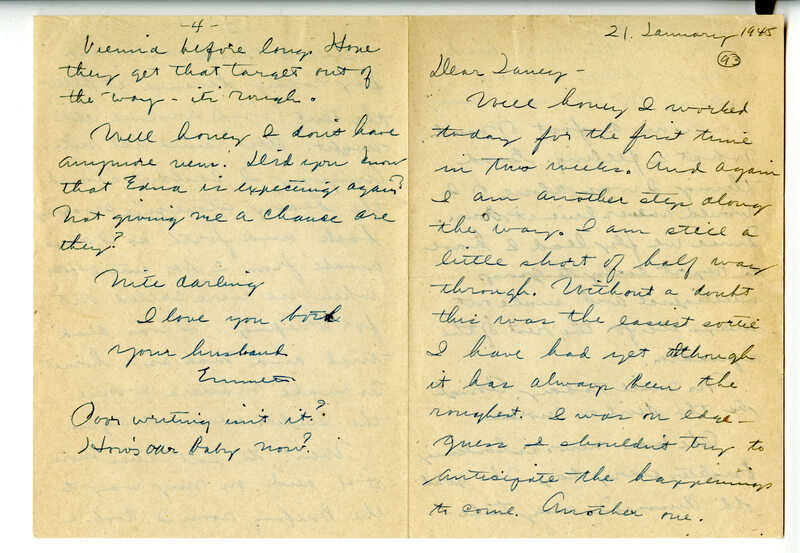 “Correspondence: Emmett [Boyd] to Janey [Boyd]: Jan. 21, 1945,” Meeting Jane and Emmett, accessed April 19, 2019, http://meetingjande.net/items/show/18.